come join me october 8th at the riverside marriott from 9:30 to 3. all the new additions to the booth will be waiting for you to see. Entry filed under: Uncategorized. 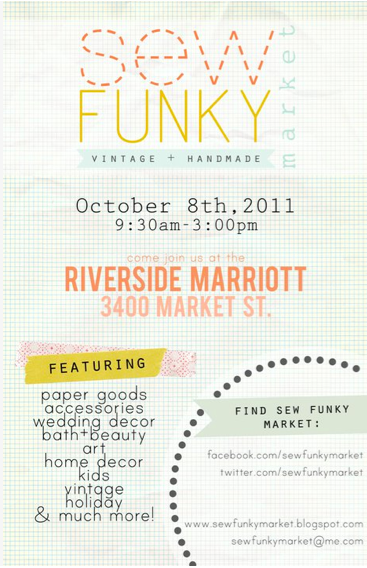 Tags: ca, california, craft fair, inland empire, riverside, sew funky marketplace.